Isolation and the early practice of quarantine and disease control have kept New Zealand livestock free of the more serious diseases found in animals in Europe, Asia and the Americas. 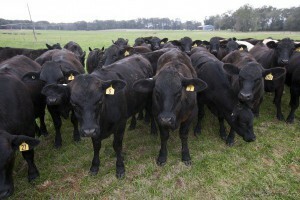 This is an advantage for New Zealand, and keeps its livestock products in demand worldwide. An act was passed in 1867 to restrict animal importation. It prohibited the entry of all animals likely to spread disease. Since then, regulations have become more stringent. Although New Zealand does not have serious infectious diseases such as foot-and-mouth or mad cow disease, there are some that can seriously affect animal health and production. Several may be passed on to humans and are known as zoonotic diseases. 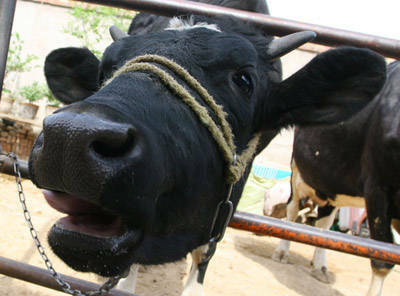 New Zealand has specialist veterinary laboratories that diagnose diseases and have developed programmes for controlling tuberculosis (Mycobacterium bovis) and leptospirosis (Leptospira pomona). The New Zealand farmer is always on the lookout for animal health problems, including contagious illnesses, diseases of reproduction and the nervous system, internal and external parasites, poisoning, and metabolic illnesses caused by nutrient deficiencies. Many of these occur only sporadically and are easy to cure, but two – tuberculosis (TB) and internal parasites of sheep and cattle – may threaten farming in the future. Tuberculosis is difficult to control because it is endemic in wild possums and ferrets, which can reinfect domestic stock. Internal parasites of sheep and cattle can become resistant to the anthelmintics used to control them. 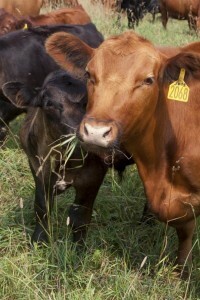 About the 1940s foot-and-mouth disease was spread throughout the world. In 1996, endemic areas included Asia, Africa, and parts of South America. North America, Australia, New Zealand and Japan have been free of the disease for many years. Most European countries are thought to be clear, although there were major outbreaks in the UK in 2001 and 2007. Perhaps the greatest potential threat to future farming is foot-and-mouth disease (Aphtae epizooticae). It is a highly contagious viral disease that affects cloven-hoofed animals such as sheep, cattle, pigs, goats, llamas and deer, as well as rats and hedgehogs. It can be spread by saliva, mucus, milk or faeces, and carried on wool, hair, hay, footwear, clothing, livestock equipment and vehicle tyres. It can also be spread quickly over long distances by the wind. The virus thrives in damp, cool conditions and can survive for several weeks (although only up to five days on summer pasture) on sheep wool, cattle hair or footwear. Clinical signs vary between animal species, but there are usually blisters on the nose, mouth and feet. Animals stop eating, become depressed and lame, and salivate a lot. There is continuous vigilance to ensure the disease is kept out of New Zealand – if it was found, almost all exports of meat, dairy products and animal by-products would stop.